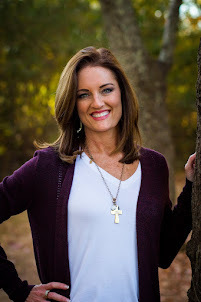 Karen Schatzline: I (We) Need His Breath! I (We) Need His Breath! 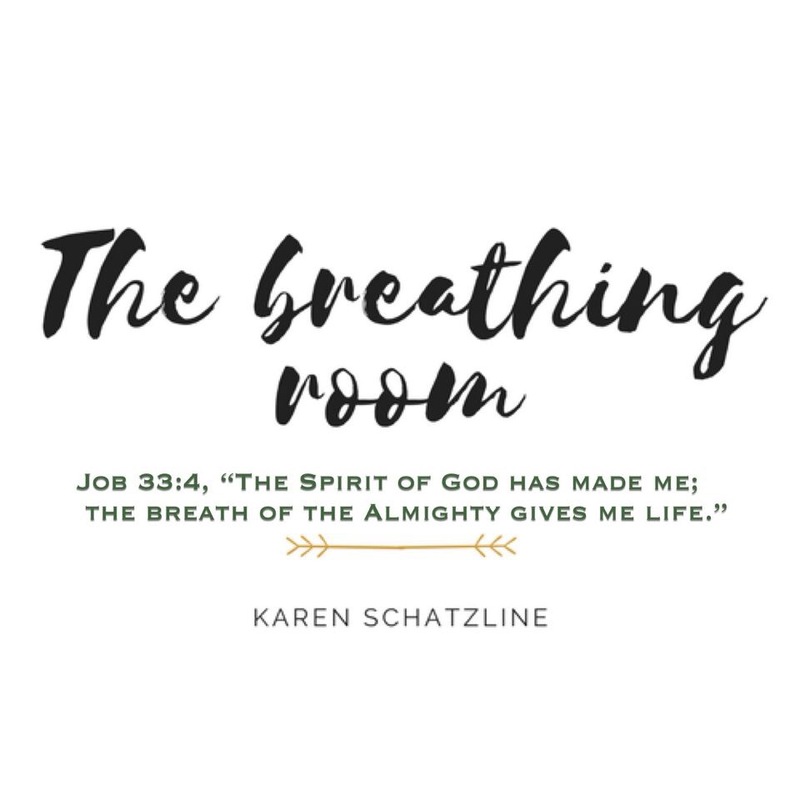 I recently began a new video blog (vlog) on Facebook called, "The Breathing Room". Its purpose is framed in the scripture, Job 33:4, "The spirit of God has made me; the breath of the almighty gives me life." God's breath gives us life! We need His breath! Many know me as an international evangelist and author, but you don’t know my story! My entire journey has been one that can be defined as almost out of breath! Then God would restore me! I call it the SHH Factor! From shy to shunned to shoved to shelved to shouting from the rooftops! You see, the first half of my life I was hidden. Whether it was a shy young girl, my park bench experience, desiring more in life, married a bold man, an overwhelmed youth pastors wife (lost at times in fear), a sidelined evangelists wife, a desire to have another child, heading to China, Abby rescues us, raising a family, fighting for our son, to speaking all over the world, writing the book "Dehydrated" and then "Rebuilding the Altar" with my husband, Pat; there were hidden moments long before there were stage moments. Listen to me, you will never become known until you are first hidden! I have spent more time in the hidden place than on the stage! As my husband Pat says, "the greater the anointing the greater the isolation!" I love this scripture in Psalm 27:5, For in the day of trouble he will keep me safe in his dwelling; he will hide me in the shelter of his sacred tent and set me high upon a rock. Don't discount the hidden times. Have you ever felt as though you are out of breath? I hate that out of breath feeling. I recently struggled with asthma and breathing issues (praise God for the healing He gave me) but I hate not being able to breathe in deep. That feeling that you aren't getting enough air into your lungs. When you can't breathe deeply it effects all aspects of your body and health. The same is true of our spiritual life, we all need deep breaths and to breathe Him in deep. 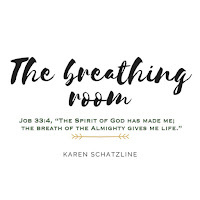 There are many "breathing rooms" in the Bible: Moses encountered a "breathing room" on the backside of desert; Isaiah found his in a cave; the Shunamite Woman found hers in her son's bedroom; the disciples found it in an upper room. There are "breathing room" encounters all throughout God's Word. Let’s talk about the BREATH of GOD. Genesis 1:2-3 says, “The earth was formless and empty, darkness was over the surface of the deep, and the Spirit of God was hovering over the waters. And God said, “Let there be light.” Look at this, God “SAID", He SPOKE and BREATH went forth. He SAID, “Let there be light” and there WAS light! It’s through your BREATH that words take FORM. God SPOKE – BREATH came FORTH – The WORD of GOD was FORMED! The Gospel of John says, “In the beginning was the WORD and the WORD was with GOD…And the WORD was GOD! They were separate but all the same – ALL ONE. I think sometimes we miss things in scripture by just trying to get our daily reading in. Look back at Genesis 1:2-3, if we just use the English word, SPIRIT, we will miss what is being described here. The Bible is describing a scenario where BREATH is involved. The BREATH of GOD! The word, SPIRIT in the Hebrew is “RUACH” which means, AIR IN MOTION and is the same word for “BREATH”. The Greek word for “Spirit” is “PNEUMA” which means, WIND OR BREATH. So I think we can read in Genesis 1, “The earth was formless and empty, darkness was over the surface of the deep, and the BREATH of God was hovering over the waters, and Gods spoke (or breathed) and there was light!” God’s Spirit or “Breath” always brings LIFE! The Bible says that God breathed into the nostrils of Adam, Genesis 2:7, Then the LORD God formed a man from the dust of the ground and breathed into his nostrils the breath of life, and the man became a living being. What about Eve? Has it ever struck you like it did me that it never says God breathed into Eve? Why didn't He have to breathe life into Eve. It just says, Genesis 2:22, Then the LORD God made a woman from the rib he had taken out of the man, and he brought her to the man. I don’t know about you, but this bothered me. Why would God not have breathed into her? Then God revealed to me the answer. See, God didn't need to breathe into her because life was in the bones! (Ezekiel talks about bringing bones to life). But catch this also, we’ve heard that Eve was taken from Adam’s ribs, why the rib bone? Maybe because they are called to walk side by side. Yes, but that is not all there is to it, what is the purpose of the RIBS? The ribs protect the lungs! They house the breath. We must be protectors of the breath! Come on, that is powerful! 1. His breath gives you life! 2. His breath drives back the enemy! 4. His breath will heal your bones! We were meant to give His breath back to GOD! There are 150 Psalms and the very last Psalm….Psalm 150 declares this “Let everything that has breath Praise the Lord. Praise the LORD.” Our breath is meant to praise Him, it is meant to be His echo here in the Earth (as it was for Ezekiel) and to tell others of His goodness! I want to create a ROOM or a PLACE where the BREATH and WIND of GOD blows freely at all times! 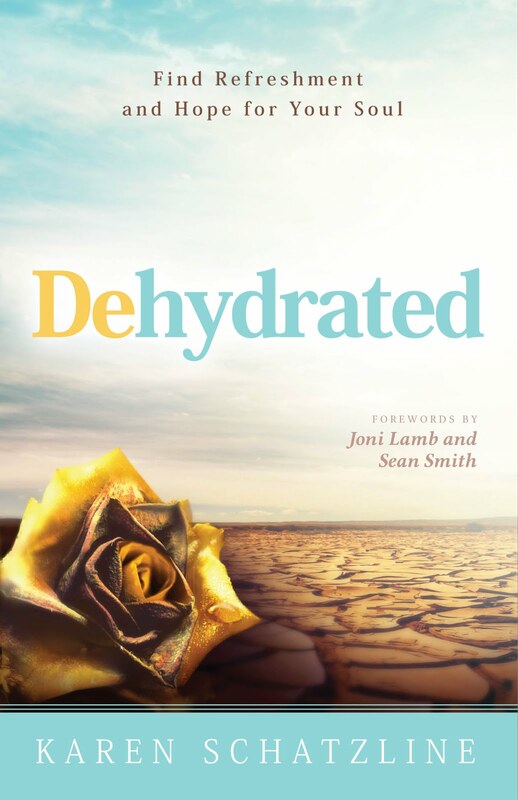 God is about to give CPR to some of you (Christ, Power, and Resurrection) Romans 8:11 says, The same Spirit that raised Christ from the dead, Lives in You – Will quicken your mortal body. We need His breath! I need His breath! In His breath is found life, freedom, understanding and healing! Breathe Him in today and allow it to bring life to the places in your life that might be dead or dying. His breath can restore and replenish. And as He breathes into you, then become His echo and bring life to others! I am traveling by car from Foley, AL to Dayton, OH. I am stopped for the night at Bowling Green, KY. I wanted to let you know how much I have enjoyed listening to episodes #4, 5 and 8. Tomorrow, I hope to listen to the other episodes. Thank you Karen! 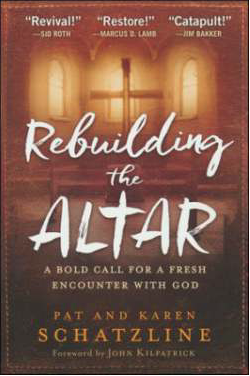 Your message blessed me and so happy to hear "The Breathing Room" is blessing you! Thankyou. A word in season. Just what I needed.